LabGenius has developed EVA - an autonomous AI-driven evolution engine for the discovery of high-value protein components. The company uses its platform technology to develop new products in partnership with world-leading multinationals. LabGenius is based in Central London and run by a passionate team of synthetic biologists, data scientists and engineers. We engineer proteins with both enhanced and entirely novel functionality. The technology underpinning this capability integrates machine learning, gene synthesis and robotic automation. In nature, organisms evolve slowly over many generations. This is a remarkably inefficient and unpredictable process because evolution never learns from its mistakes (or successes). We’ve made evolution more intelligent by unpicking the design rules which underpin biological systems. In simple terms, we can predict which mutations will improve a biological design. Our predictive power improves every day as we continuously extract design rules from both proprietary and open-access data sets using our novel machine learning algorithms. Using our proprietary gene synthesis technology, we can accurately manufacture trillions of unique DNA sequences (termed libraries). Unlike traditional synthesis methods, our technology does not involve either long-sequence hybridisation or polymerase chain reaction (PCR) steps. As a consequence, our libraries do not suffer from either diversity loss (through sub-pool amplification & polymerase-specific biasing) or low fidelity (due to miss-annealing between DNA strands). LabGenius has a patent pending on its novel multiplexed gene synthesis technology. We're closing the loop on the protein engineering process through end-to-end automation. This enables us to continuously test new biological designs which EVA has predicted will perform well. Through continuous empirical testing, we are rapidly generating large & high quality proprietary datasets which feed our machine learning algorithms and ultimately make EVA smarter. LabGenius develops products in partnership with leading multinationals. This model enables us to exploit our technology across several markets while remaining tightly focussed on our core competencies. Proteins (e.g. enzymes and antibodies) are widely deployed across the pharmaceutical industry for both diagnostic and therapeutic purposes. EVA, our AI-driven evolution engine, is currently learning how to optimally enhance the stability of therapeutic proteins in protease rich environments (e.g. the gastrointestinal (GI) tract, tumour microenvironments and inflamed tissues). This capability will ultimately enable the delivery of novel therapies for unmet clinical needs. Within the advanced materials market, engineered proteins can be used to form high value coatings, adhesives, fibres, catalysts and sensors. LabGenius has completed several development projects within this space that have been backed by the UK Ministry of Defence (MoD). The company is additionally engaged in the collaborative development of advanced materials with leading aerospace and defence multinationals. Engineered proteins (e.g. peptides & enzymes) are deployed extensively within the personal care industry. For example, within the context of skin and haircare products proteins can provide anti-wrinkle, firming and volumising effects. Using AI-driven high throughput empirical screening, it is possible to engineer novel proteins with enhanced functionality and activity. James completed his EPSRC-funded PhD at Imperial College London where he developed a platform for targeted drug delivery using re-engineered protein nanocages. Prior to his PhD, James completed a BSc in Biology with Microbiology (1st Class) and an MRes in Systems and Synthetic Biology (Distinction), at Imperial College London. 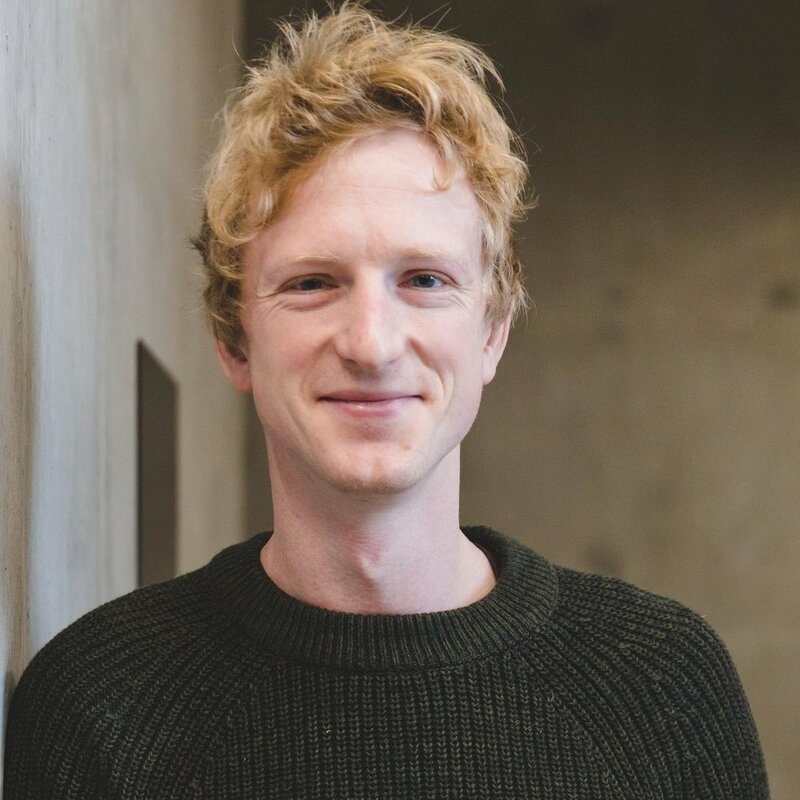 James is an active member of the synthetic biology community having participated in the iGEM competition both as an undergraduate (2009), advisor (2011) and judge (2016). Outside of work, James enjoys time with his daughter, reading science fiction and drinking loose leaf Earl Grey tea. Louise has spent the past 7 years of her career working closely with entrepreneurs to help them scale their businesses. Most recently she was the Executive Assistant to the Chief Scientist of Babylon Health, which grew from one hundred to a thousand employees over 2 years. As a result, she has developed strong strategic and administrative skills particular to fast-growing start-ups. Previously, Louise studied at Loughborough University, where she graduated with a degree in Sociology. In her spare time, Louise enjoys keeping fit and trying out new vegetarian recipes. Richard is responsible for operations at LabGenius. 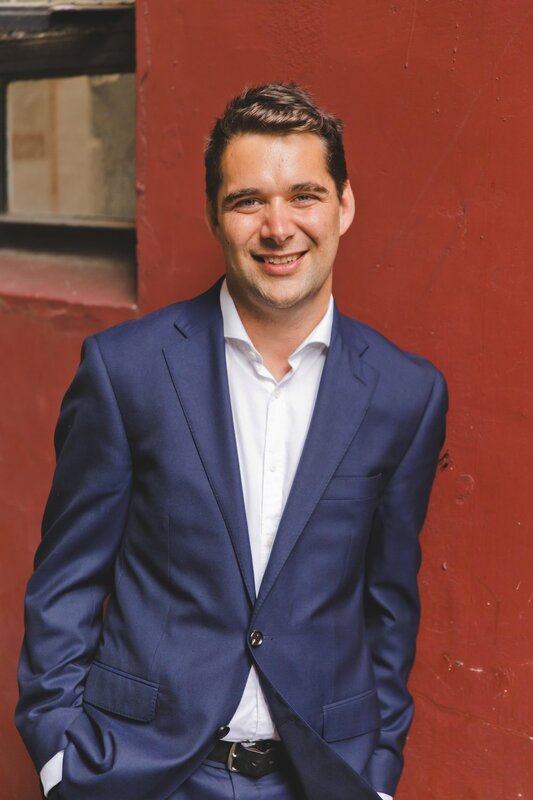 Richard studied Medicine at University College London and has since completed 5 years of surgical training, successfully earning his ‘Membership of the Royal College of Surgeons’ (MRCS). Alongside his clinical work he has published and presented research internationally, sat on Hospital boards and has won multiple awards for projects to improve the efficiency of hospital departments. In his spare time he enjoys playing squash and cycling. He has led numerous charity cycling expeditions, including one over the Andes and one the length of the UK. Becky has previously worked in a variety of industries including music, publishing and 'regtech'. She has built up a wide range of operational skills and has had the opportunity to work with a brilliant mix of people. Before studying English Literature at the University of Westminster in London, Becky volunteered as a Medical Assistant at the Red Cross Hospital in Wakayama, Japan. In her spare time, Becky enjoys attending gigs, trying new restaurants and soaking up pop trivia for quiz nights. Mo completed his MEng in Mechanical Engineering at Imperial College London. For his Masters project, he developed polydopamine-mediated antimicrobial coatings (1st Class). 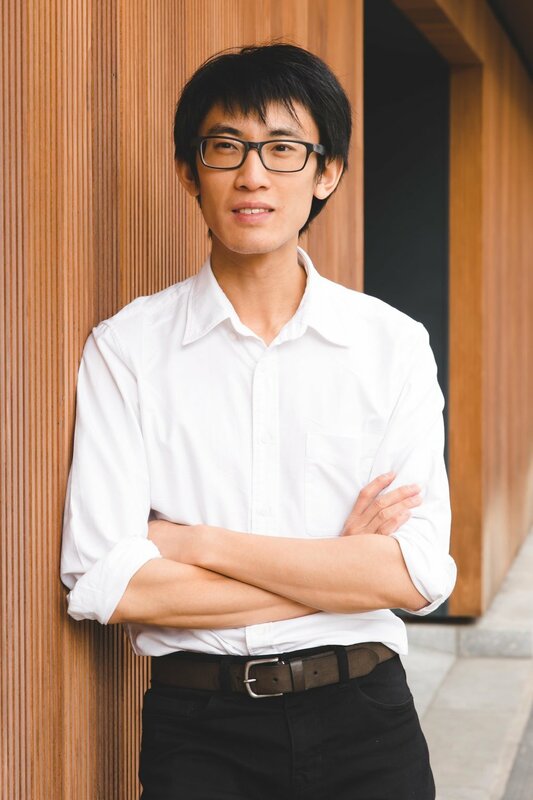 Mo co-founded Imperial College Design Collective and was a founding committee member of Imperial Create Lab. In his free time, Mo enjoys martial arts, music production, cycling and tidying. With over 11 years of laboratory management experience, Vidya brings a wealth of knowledge and skills to ensure that the laboratory operates smoothly. She completed her MSC in Biotechnology at Bharathidasan University (India), worked at Accenture and HP before moving to the UK in 2007 to work for Plasticell Ltd - a biotechnology company developing novel therapies through manipulation of stem cells. In her spare time, Vidya enjoys reading, baking, and playing video games. Harry is responsible for overseeing the development of LabGenius' technology stack. Harry studied at Imperial College, attaining an MRes in Systems and Synthetic Biology (Distinction). Harry was LabGenius’ first employee, co-inventing the company's foundational library synthesis technology and applying this to numerous directed evolution projects. Harry also serves as a technical advisor to the EPSRC-funded Portabolomics project at Newcastle University. Harry loves kayaking, hiking in the mountains, noodling on his guitar and home-brewing. Amy is responsible for external communications and marketing at LabGenius. Following Amy’s undergraduate degree in neuroscience at The University of Sussex, she completed a master's degree in science communication at Imperial College London (Distinction). 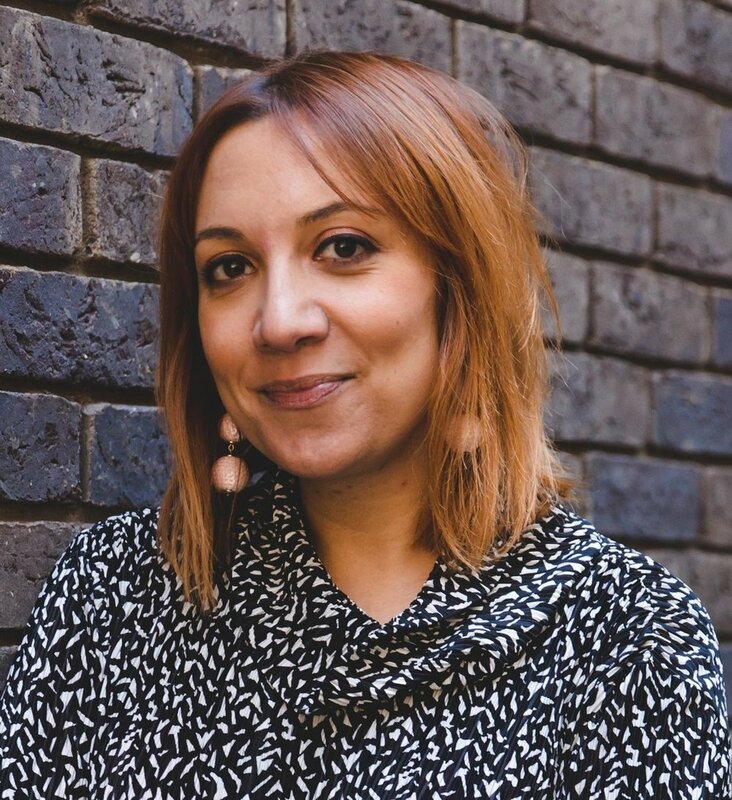 Amy spent the next two years working in the external relations directorate at NICE - The National Institute for Health and Care Excellence - where she created the NICE Talks podcast and published on high-profile science topics in the media. In her spare time, Amy is a passionate singer-songwriter. She regularly performs around London as well as recording and releasing music. She was recently shortlisted for the Glastonbury Emerging Talent 2019 competition. Adam is responsible for the commercial operations at LabGenius. Adam studied Chemistry (MSci) at Imperial College London where he graduated top of his year; he subsequently completed his PhD at the University of Oxford. 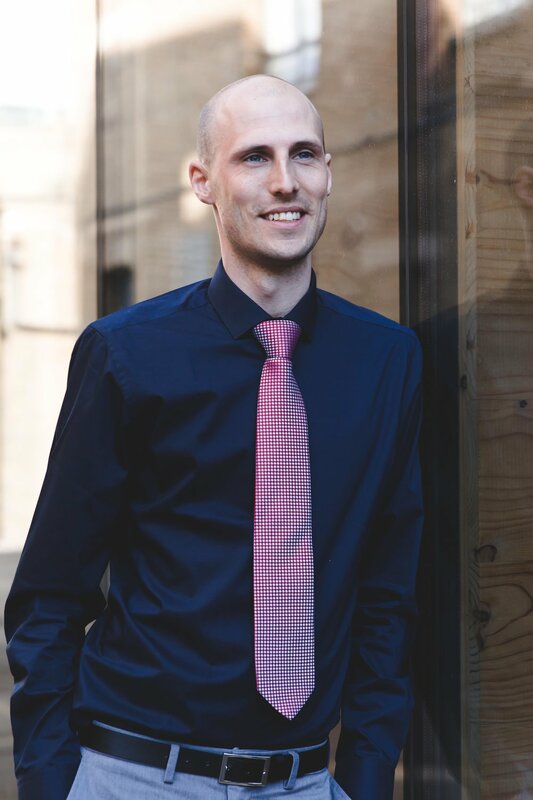 Before joining LabGenius, Adam spent several years working at Johnson Matthey (UK FTSE 100 company) where he was part of the JM Group Innovation and New Business Development team. Whilst at Imperial College, Adam received the AstraZeneca Foundation Award, the GSK Laboratory Award, the Briscoe Award for Inorganic Chemistry and the Barton Award for Organic Chemistry. In his spare time, Adam enjoys cooking, reading and the outdoors. 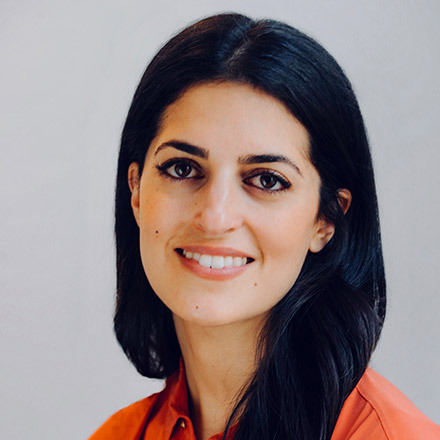 Leila is a founding partner at Kindred Capital and acts as Investor Director at LabGenius. She is both an investor and an entrepreneur, with over a decade of operating experience in technology businesses across three continents. Leila holds an MBA from Harvard Business School, as well as a BS in Mathematics and Philosophy from Yale University. Leila was also part of the founding team of GenapSys, a DNA sequencing company that raised over $50 million. Maria is responsible for coordinating the execution of LabGenius' R&D programme. Maria completed her undergraduate studies (BSc & MSc) at the University of Warsaw before undertaking a PhD at University College London. Over the course of her academic research career, Maria published several high-impact papers and completed research fellowships at both Cambridge and Imperial. After obtaining her PhD, Maria moved to San Francisco where she secured a position on Genentech's highly competitive Postdoctoral Research Fellow programme. Through her research at Genentech, Maria participated in the development of a novel cancer immunotherapy. Upon the completion of her postdoctoral fellowship, Maria was promoted to the position of Project Leader. In this capacity, Maria was responsible for guiding the strategy and development of Genentech/Roche's early and late stage therapeutic portfolios. 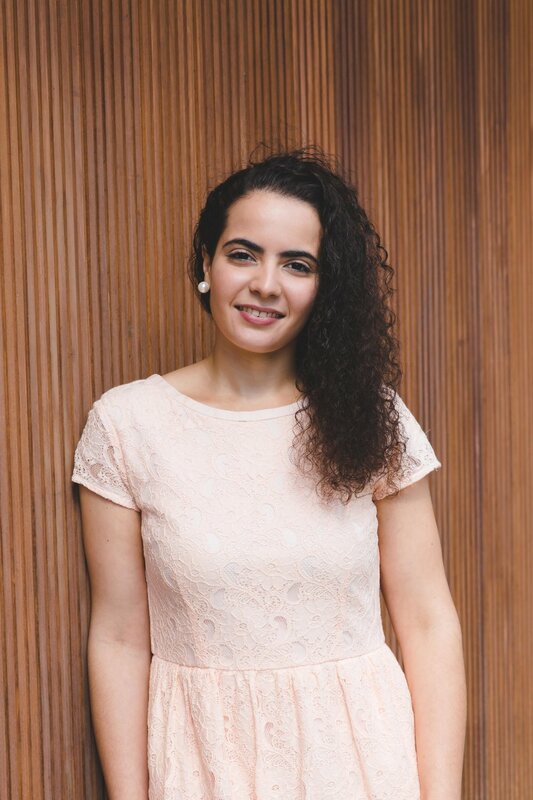 In addition to her academic and industrial research experience, Maria has several years of operational experience in a rapidly scaling venture-backed tech startup. Outside work, Maria volunteers with the Dream Foundation - an organisation which serves terminally ill adults and their families by providing end-of-life dreams that offer inspiration and comfort. Sam works as a Data Engineer at LabGenius. He studied Theoretical Physics at Edinburgh University before going on to do a PhD in Particle Cosmology. His PhD was focussed on Particle Physics models of the very early Universe, with an emphasis on Cosmic Inflation. 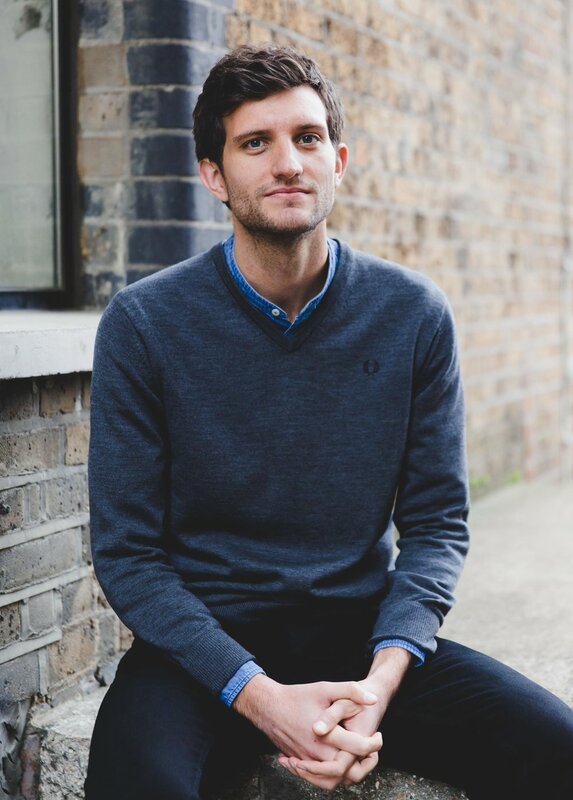 Since then Sam has worked for a range of startup companies in Edinburgh and London in a variety of sectors. In his spare time, Sam likes to rock climb and read. Keltoum is working to develop the software that automates our wet lab and integrates experimental data into our data platform. Keltoum studied medicine for two years before transferring to an engineering degree specialising in Robotics at Polytech Sorbonne Engineering School in Paris. Having initially joined as an intern, she has taken a sabbatical from her degree to work at LabGenius. Outside of work she likes to travel, try new cooking styles, play multiple sports and to attend live shows. Pierre-Yves is responsible for developing and optimising LabGenius' screening technologies. Before undertaking his PhD, Pierre-Yves graduated in Biochemical Engineering fromINSA Toulouse in France. 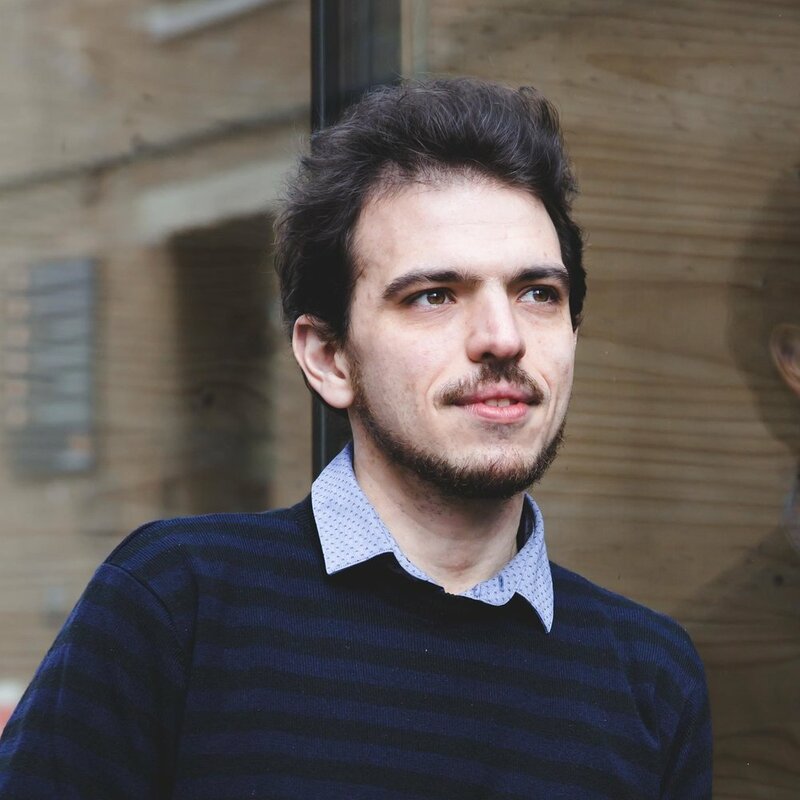 Pierre-Yves has more than 7 years experience in the engineering of enzymes and has worked in world-leading academic groups at bothCambridge and UCL. His work on the development of ultra-high throughput screening platforms using droplet-microfluidics has led to several high impact publications. In his spare time, Pierre-Yves enjoys playing football, watching plays in London's West End and reading about History. Chris is responsible for developing and optimising LabGenius’ wet lab protein selection processes. Chris completed his BSc in Molecular Biology at the University of St Andrews and then moved to the MRC Laboratory of Molecular Biology for his PhD. Throughout this and his post-doctoral work (at the LMB and UCL), he evolved and characterised several novel polymerases, developed directed evolution methods, NGS protocols and invented a multiple-site library DNA generation method. Chris has published inScience, Nature and PNAS and his work has contributed to 3 patents. In his spare time, Chris likes cooking, reading and being active: gardening, walking, running, cycling, swimming and more recently yoga. As a member of LabGenius' Protein Analysis Team, Nicola is working with the automation team to develop a high throughput protein purification system and bring in a human cell line for protein expression. Bringing over 12 years of protein engineering experience to LabGenius, Nicola has worked on a wealth of different protein classes in both small molecule and biological therapy development. Nicola began her career in neurodegenerative therapeutics at GlaxoSmithKline, before working for several years in drug discovery for Cancer Research Technology (CRT) - one of the world’s leading oncology biotechnology companies. Initially working as a molecular biologist, Nicola designed protein constructs and set up a high throughput purification pipeline to process them. This passion for protein engineering led to a change in role at CRT to Structural Protein Biologist, including sponsorship towards an MSc, allowing Nicola to work alongside chemists on rational structure-based drug design. Ozan is working as a scientist at LabGenius, expressing and purifying proteins of interest as part of the product portfolio. Having studied Biological Science (BSc) at UCL, Ozan moved to the University of Sussex to complete an MSc in Genetic Manipulation and Molecular Cell Biology. For his Master’s project, he crystallised and characterised helicases as part of a drug discovery program. In his spare time, Ozan likes to play basketball, listen to funk and teach. Eyal works as a data scientist at LabGenius. He completed his PhD in observational cosmology at New York University. During his subsequent postdoctoral work at Swinburne University of Technology, Eyal worked on quantifying the abundance of dark matter and the expansion rate of the Universe using 3D maps of distant galaxies. Leaving academic research, Eyal moved to London in 2014 and joined the data analytics firm Cambridge Analytica as a Data Scientist, during his time there, Eyal developed Machine Learning solutions for clients across several industries. In his spare time, Eyal keeps a daily video diary and volunteers at the Science Museum in London. Eddie studied Physical Sciences at the University of Cambridge before undertaking a Masters in Computing at Imperial College London. He has worked as a science education consultant in South Africa and India, and has over five years of development and engineering experience in London tech startups. He is a member of the London Biohackspace and has also mentored for the Coursera Bioinformatics specialisation. 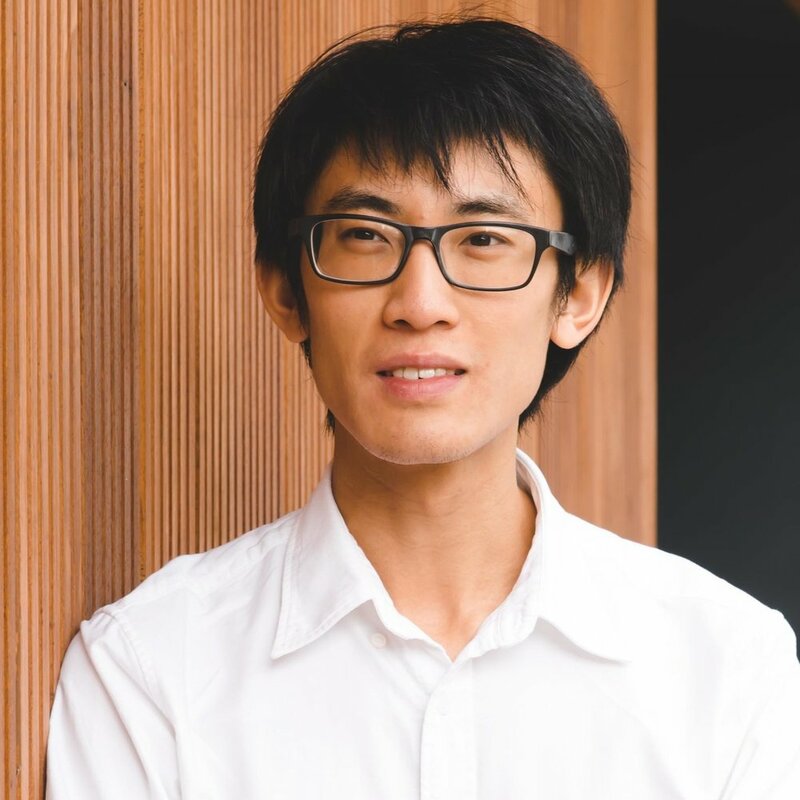 In his free time, Eddie enjoys reading, doing online courses, bouldering and teaching children on how to program at Code Clubs and Coder Dojos. Ben is responsible for the development and optimisation of LabGenius' library construction technology. Ben completed his PhD in Synthetic Biology at Imperial College London in late 2016. His research focused on the development of an in-vivo directed evolution technology. Ben received his MRes in Synthetic Biology (Distinction) from University College London in 2012 and his BSc in Biomedical Science/Forensics from Brunel University in 2011. Most of his time away from work is spent playing football (managing/captaining his Saturday team). Alternatively you'll find him watching live-comedy somewhere in London, or enjoying the snow in the Alps. Prior to her work at LabGenius, Annelie was an MRC Career Development Fellow at the Crick Institute. 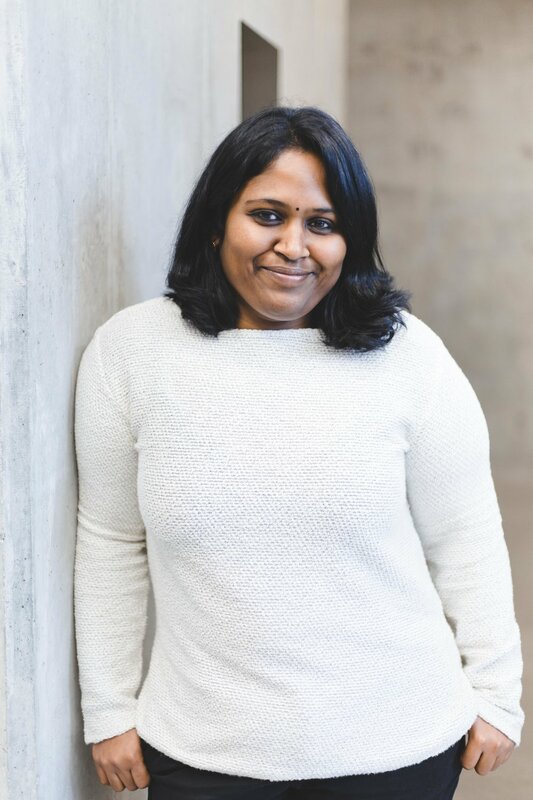 Her research focused on the reconstruction of a developmental clock using synthetic biology, in which she established a microfluidics platform for single cell long-term-time-lapse microscopy. Annelie previously completed her PhD in Biology at the MPI-CBG in Dresden, Germany. She received a MSc in Molecular Bioengineering from the BIOTEC/TU-Dresden in Germany and a BSc in Biochemical Engineering from Rutgers University in NJ, USA. Annelie is a published scientist with extensive interdisciplinary experience from developmental and molecular biology to engineering and mathematical modelling. Mina studied Maths, Physics and Computer Science at the French School of Engineering Polytech Sorbonne, before specialising in Applied Mathematics. She joins our data-science team for a 6-month end-of-studies internship. In her free time, she likes to play and compose music, listen to blues, work on various programming projects and blog. Staffan is responsible for developing the software that automates our wet lab and integrates experimental data into our data platform. Staffan previously worked as an Embedded Software Engineer and Scrum Master for Volvo Group in Sweden. There he built Volvo's next generation instrument clusters for heavy duty commercial vehicles. 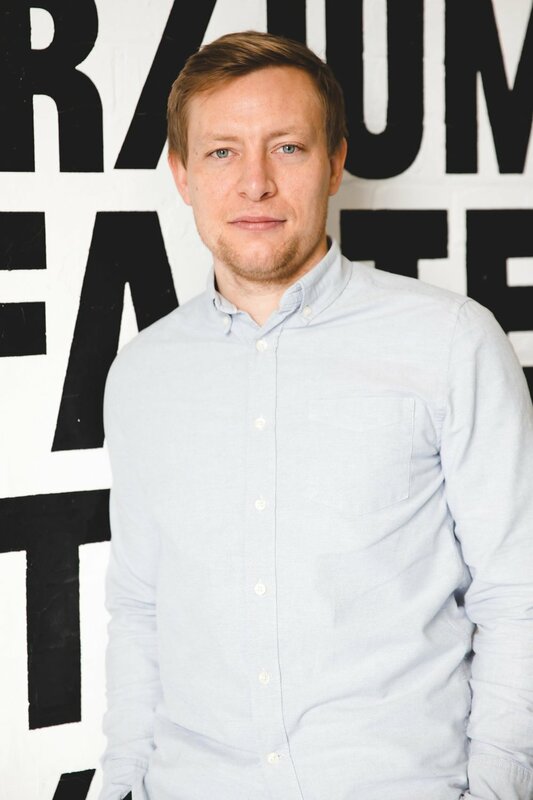 Staffan has also worked as a consultant for Sigma Technology, developed consumer electronics and has been responsible for back-end development at a tech startup. Staffan has a BSc in Engineering which he acquired from Halmstad University in Sweden and MNSU in the United States. As a member of LabGenius' data science team, Katya spends her time equipping our platform, EVA, with the ability to learn from empirically collected data. Before joining the team, Katya worked as a postdoctoral researcher at the Centre for Genomic Regulation in Spain and the Institute of Science and Technology Austria. Katya's research focussed on exploring sequence space and understanding protein fitness landscapes using machine learning. Katya obtained an MSc in Human Physiology and a PhD in Molecular Biology in Russia. Katya subsequently obtained another MSc in Data Science in Spain. Over the course of her academic career, Katya has published over 20 research papers in the fields of immunology and protein evolution. When not working, Katya develops communication design projects and swims. Fiona is responsible for characterising the proteins we are producing as part of our product portfolio to ready them for pre-clinical testing. Fiona is a Protein Biochemist with 10 years laboratory experience in the characterisation of proteins. She completed her PhD at the Institute of Cancer Research in the Cancer Therapeutics Department, where she gained first-hand experience of drug discovery and development. Prior to her PhD she worked at Evotec, a leading drug discovery company. For the past 3 years Fiona has been working in post-doctoral research positions at the University of Southampton and at Imperial College, London, where her work focused on characterising protein-based drug candidates for diseases ranging from cancer to bacterial infection. In her spare time Fiona enjoys running, cooking, and tending her home grown vegetables. Pedro is responsible for the development and optimisation of LabGenius' high throughput screening technologies. 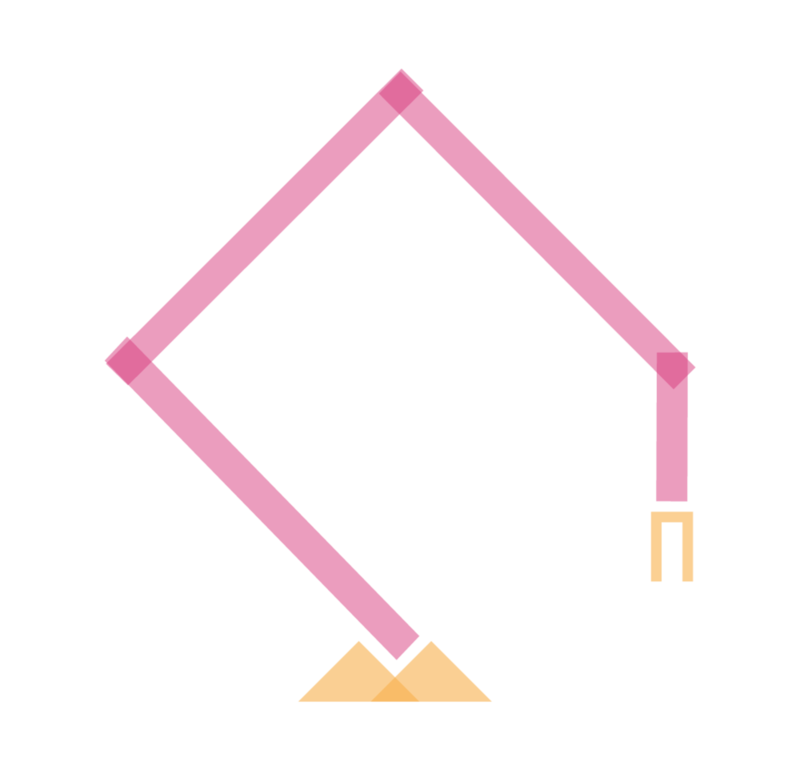 During his PhD studies, in Structural and Molecular Biology at UCL, Pedro developed a strategy for the directed evolution of flexible loops in proteins. This novel technology was used to accelerate the exploration of functional sequence space in β-lactamases. Prior to his PhD, Pedro obtained an MSc in Genetics and Molecular Biology at UNICAMP and a BSc in Biological Sciences from USP, both in Brazil. Outside work, Pedro spends his time reading about the world outside biology, trying out interesting food and drinks, and running slowly. * I confirm that I consent to LabGenius using the personal information I have provided to contact me in relation to my enquiry, either by email or telephone. For more information please see our Privacy Notice (link below).